Just imagine the joy you’ll feel when you learn that you have won the lottery jackpot. You’ll pop that bottle of champagne, you’ll tell everyone you love about it and you’ll start making plans about buying that yacht. Well, real life suggests that it’s not really over till it’s over. 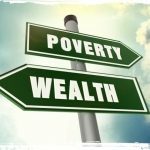 There have been multiple cases of people who won one lottery or another but were never paid out. One of the newest disappointing cases is from July 2017. A man from California was denied a five-million-dollar lottery prize because of the fact that the ticket was bought by his son. You may be wondering what’s wrong with that. The only problem is that the son is aged 16. Ward Thomas sent his son to get some scratch tickets. One of the batch produced the much-coveted five million dollars. When the ticket was validated and the family attempted to claim the sum, they were told that only adults aged over 16 could buy tickets. Thomas is currently planning to sue the California Lottery Commission. 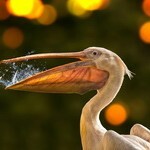 The lawsuit will be for breach of contract and negligence. The California Lottery Commission hasn’t responded to the allegations yet, but this is definitely a case we’ll continue following to find out how US court is going to proceed. Another story of a man who has been denied his millions comes from Canada. Joel Ifergan was just a regular accountant from Quebec. One day in 2008, he decided to buy a Lotto Super 7 ticket. The numerical combination that he chose, granted Joel the 27 million Canadian dollar jackpot for the respective drawing. As you’ve probably guessed already, this story doesn’t have a happy ending. It turns out that Joel’s winning ticket was printed seven seconds after the end of the deadline for the respective drawing. Just like the protagonists from our first story, Joel decided to sue. His decision started a seven-year legal battle that ended in 2015. Eventually, the case reached the Supreme Court of Canada. The Supreme Court ruled out that Joel had no right to a payment due to the fact that the lottery’s regulations were clear and announced in advance. While buying lottery tickets online can be very convenient and time-saving, you have to be careful about it. Here’s a story that will convince you of the importance of making sure that your order has actually gone through. On December 2015, a couple from Leicester decided to test their Christmas lottery luck. Edwina and David Nylan used the Lotto mobile app to choose their six lucky numbers and get a ticket. Eventually, all six of the numbers matched the ones for the respective drawing. Had there been no problems, Edwina and David would have ended up 35-million pounds richer. When the couple called the lottery to make a prize claim, they were told that no record of the transaction existed. The online purchase didn’t go through, regardless of the fact that the couple had an online account that had been used for a couple of purchases in advance. According to Edwina, the mobile app had confirmed the purchase. Camelot Lottery reps said that the system showed the couple’s intent to buy the ticket with the respective numbers, but a payment was never received via the online system. Right now, the couple is taking Camelot to the court and starting a legal battle in an attempt to claim the millions. 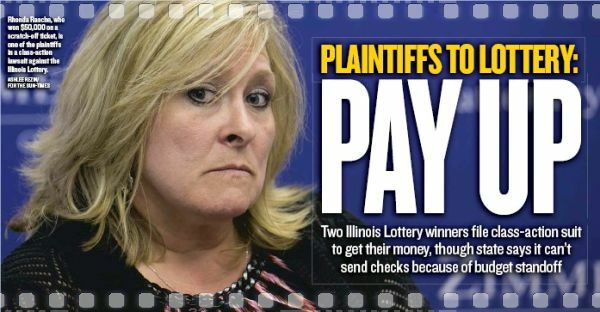 In 2015, Illinois Lottery angered many people. It was a time when a new law had to be passed for the purpose of paying out lottery prizes. Until the legal change occurred, Illinois Lottery announced that it would be capable of paying out prizes under 25,000 dollars. The announcement didn’t sit well with many people, especially Ronda Rasche. Ronda had bought a scratch ticket that granted her a 50,000-dollar prize. Ronda said that if she were expected to make a payment and refused, she will be sued. This is why she decided to take the matter to court in an attempt to speed things up. Ronda participated in a press conference, announcing her decision to fight the legislative conundrum in court. She said that some of the money was to be spent immediately on home improvements. 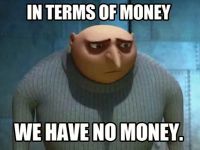 While the lottery announced that it would be incapable of paying prizes over 25,000 dollars for a certain period of time, it continued selling tickets. Because of this decision, large prize winners were forced to wait an unannounced period of time before getting paid out. Ronda started a class-action lawsuit together with another disappointed winner – Danny Chasteen who won 250,000 dollars. According to an estimate, as of July 2015, there were people awaiting combined prizes totaling 288 million dollars from Illinois Lottery. Ronda and Danny are suing for fraud because of false advertising (immediate prize payouts). If the lawsuit goes through successfully, the lottery will be forced to pay the winners five percent on top of the sum that they’ve won. In addition, the plaintiffs have asked for the lottery to be prohibited from selling tickets until it can start paying out awards immediately. The story of Ward Thomas isn’t the only one of a person being denied a lottery prize because of age considerations. In December 2015, a man from Iowa was turned down for a 100,000-dollar lottery prize due to the very same reasons. 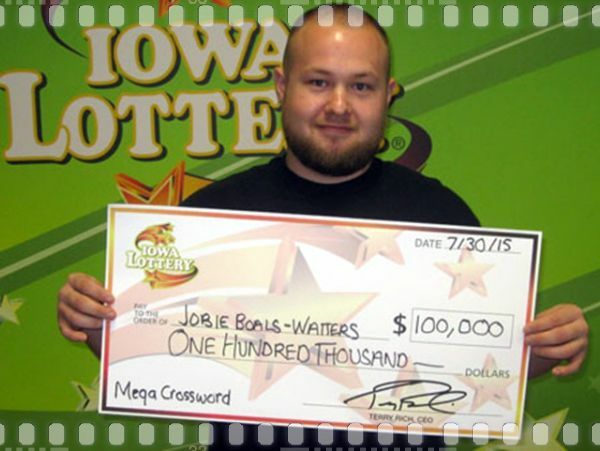 Jobie Boals-Watters said that a coworker bought the winning scratch ticket and gave it to him. The young man did what was expected and found out that the ticket was going to make him a bit richer. According to Iowa state laws, the fact that Jobie was underage at the time of winning was a violation of gambling laws. In addition, lottery officials claimed that he wasn’t given the ticket, but had rather bought it himself. Things got heated and even security camera footage from the store had to be used for the purpose of figuring out who had bought the winning ticket. The footage showed that Jobie had acquired the ticket on his own, which invalidated the prize. 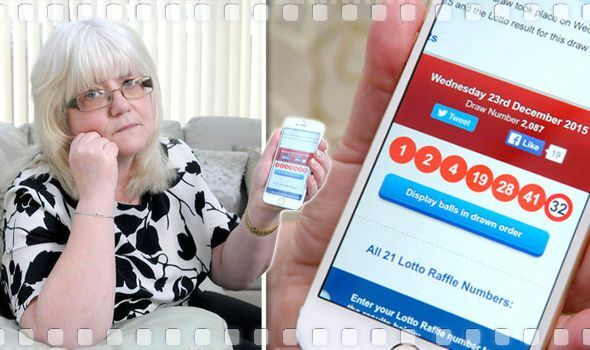 UK’s Camelot has had more than one disastrous story of lottery winners being denied a prize. The second one we’ll share with you today involves an Essex grandfather aged 75. 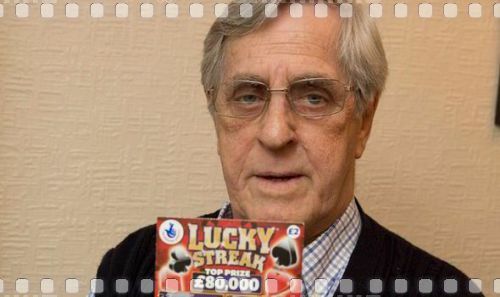 Tom Gray bought a Lucky Streak scratch card in December 2013. Going through the motions, he uncovered two matching symbols – a sign that he had won 80,000 pounds. Needless to say, Tom was excited and he tried to cash out the winning amount immediately. 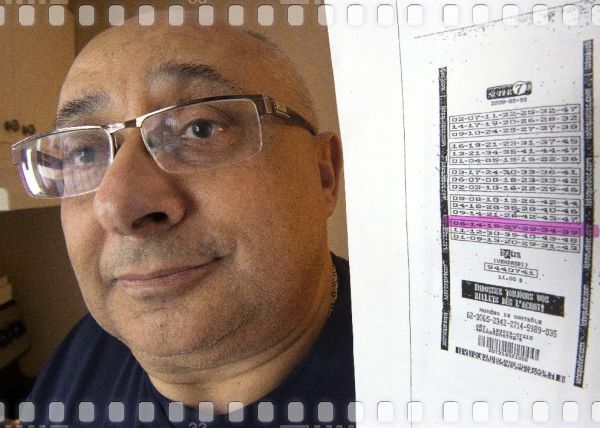 He was in store for a nasty surprise – Camelot representatives told him that the winning pair was the result of a printing error rather than an actual winning ticket. Images of the ticket were printed online and they show two matching dice, each carrying a four. The ticket instructions suggest that such a match produces a prize of 80,000 pounds. Camelot announced that one of the printer heads used for the purpose of printing the scratch tickets had been found out to be faulty. Of almost 16 million printed scratch cards, the lottery had received two complaints about such errors. Tom said that he was disappointed. He didn’t really need the 80,000 pounds, but he was planning to spend the money on his grandchildren. According to Tom, the honorable thing would have been to provide a compensation for the mistake rather than make people feel cheated. Lottery Winners in Love. Can You Really Have it All?